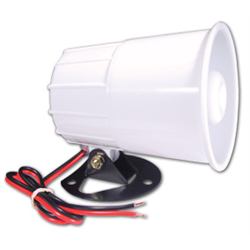 The Elk M120 is a low current draw indoor/outdoor siren requiring only 500mA but with an ear splitting 110 dB sound level. Operating at 12VDC it's perfect for use with any standard security system. 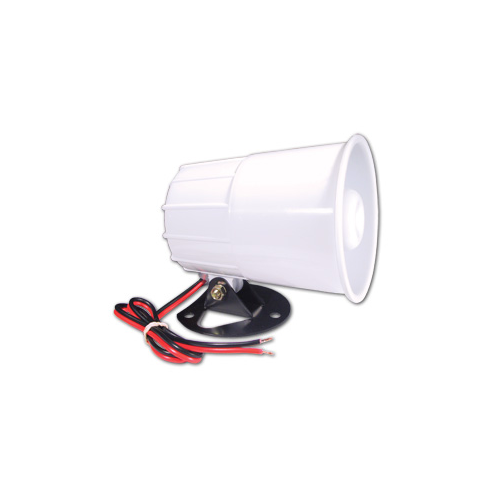 The low current draw allows it to be used with smaller systems, or in a multi-siren application for standard systems. Dimensions: 3.25" diameter x 4" x 4"